Automakers face increasingly strict environmental and energy standards. As the auto industry searches for innovative ways to build more sustainable cars, steel continues to be the most ideal solution for car makers and consumers. Below, The Steel Wire speaks with Choi Jaeyong, Manager at POSCO’s Environment & Energy Business Department and currently a research fellow at the World Steel Association, to discuss sustainable manufacturing trends in the steel industry as well as the evolving automotive steel industry. What are some of the most exciting initiatives taking place in the steel industry to combat greenhouse emissions and to create more sustainable production methods? First, we must realize that one of the main causes of greenhouse emissions comes from using fossil fuels for the reduction of iron ore. Therefore, any ideas to improve this process and reduce the use of fossil fuels will also help reduce greenhouse gases. 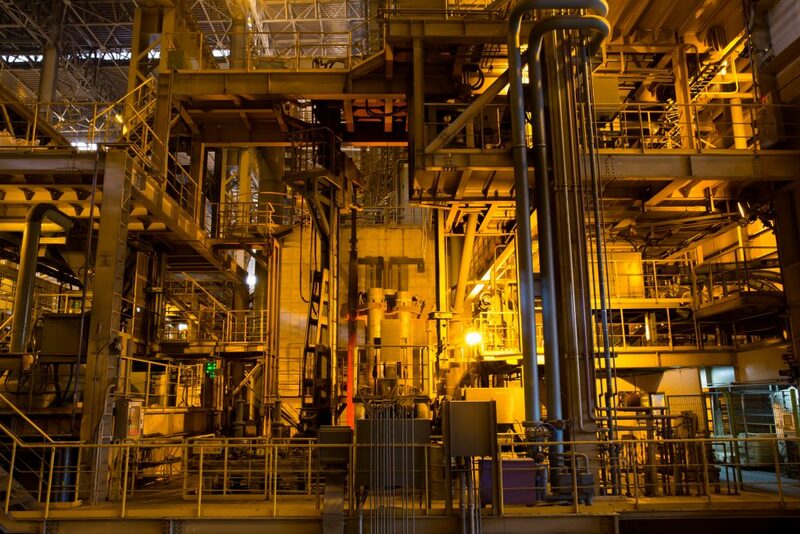 One of the most exciting initiatives taking place in the steel industry is replacing coke with hydrogen on a partial basis as a reduction agent. However, this is only effective if the hydrogen is produced by non-carbon energy sources. In addition to finding fuel alternatives for blast furnaces, advancements in smart factory technologies, such as AI and IoT, are also helping create more sustainable production methods while significantly enhancing the decision making process. For instance, the digitalisation of the control systems to reduce variations in process parameters has helped reduce energy usage as well as unexpected defects. Moreover, IoT can help employees at worksites by preventing industrial accidents with regards to machinery and equipment. What do you think steelmakers should do to become more energy efficient? First of all, steelmakers should work to achieve best-in-class operational standards across all processes. This includes improvements in engineering, operations, reliability, yield, health, and safety. Second, employees should stay up-to-date on the latest developments in steel production to ensure that advancements are shared utilized across the entire industry. Third, we must use collaborative and innovative R&D techniques to make improvements throughout all processes. POSCO is already practicing the first two very well while the third continues to be a priority for POSCO CEO Ohjoon Kwon. I believe there is no one single solution for energy management; however, if those of us in the steel industry remain enthusiastic about finding creative energy saving solutions, new ideas will continue to arise and evolve. From your experience working with POSCO’s energy management systems, can you tell us what POSCO is doing to become more energy efficient? Pohang Steelworks is one of the most intricate modern steel manufacturing sites in the world. We continuously look for improvements throughout all processes including in the combustion, gas, corrosion, mechanical, instrument & measurement engineering practices, and statistical analysis techniques. If problems are found they are analyzed to eliminate and prevent faults or delays. Also, at Pohang Steelworks, each facility has their own characteristics from raw materials to end products. Producing coke, sinter, and pig iron is a near continuous process, but producing steel is a batch process. Respective rolling mills have different rolling schedules and maintenance periods. Upstream processes, such as the blast furnace, have a fixed maintenance schedule. Why is knowing the characteristics of the process important? The processes create by-product gases and if there is a break in the use of the gases, the furnace will need to be flared once the gasholders are full. This has a significant impact on the emissions intensity for the site. Pohang Works uses many kilometers of pipelines and multiple power plants in order to utilize all the by-product gases and my role is to eliminate the flaring ratio and to operate energy facilities with high efficiency. The most important job is to maintain the facilities so that they are in good condition and can operate when needed. For sites like POSCO, energy needs to be viewed holistically to be able to create a balanced energy generation system, which helps avoid waste in gas & electricity. There is a project currently underway to build a new integrated energy management system that will help optimize energy use and prevent waste. More and more automakers around the world are focusing on sustainability and emission reduction. What kinds of benefits can sustainable materials like steel bring to the auto industry? Also, what is POSCO doing to help automakers manufacture more sustainable vehicles? Steel is better than alternative materials like aluminum and carbon fiber composites for various reasons. Properties of steel vary greatly but it’s always adaptable to making new products for different end products. When the electric arc furnace (EAF) melts steel, it can be formed into a new product without a loss of quality. On the other hand, other alternative materials composed of alloys at a lower temperature remain as molten alloys, and they require additional processing to separate the various elements from the original material, which cannot always be done without a loss of quality. For steel, this is not a problem. Also, because of the sustainable life cycle of steel, automakers can recycle old automobiles into brand new cars without a reduction in quality. Additionally, by replacing conventional steel materials with advanced high-strength steels (AHSS), drivers can reduce fuel usage by as much as 5% and greenhouse gas emissions by 6%. POSCO has developed numerous lightweight solutions to enable automakers to produce lighter, more eco-friendly products with no reduction in strength and durability. Using more sustainable materials like POSCO GIGA STEEL can bring numerous benefits to the auto industry as it offers automakers the ability to produce stronger cars with fewer emissions. For more information on POSCO GIGA STEEL, take a look at the 6 reasons why POSCO GIGA STEEL is Ideal for both automaker and consumers. Choi Jaeyong is currently a research fellow at World Steel Association and Manager at POSCO’s Environment & Energy Business Department.